Welcome to Flame On, Inc.
Flame On, Inc. is moving offices! Our new postal address is 12632 Wagner Road, Monroe, WA 98272. Our phone and fax will remain the same. Flame On, Inc. was founded in 1996 by Darryl and Lora Thomas. Since its inception, Flame On has provided customers with quality service and superior workmanship. Flame On has quickly become the premier heat straightening company in the United States. At Flame On, we strive to offer premium service through innovation, efficiency, leadership, and high safety standards. By offering competitive pricing and performing quality work, we have attained the confidence of our clients in heat straightening time and time again. At Flame On, our goal is to achieve excellence in all phases of our work at all times. We pride ourselves on keeping repairs on time and on budget, resulting in high customer satisfaction. 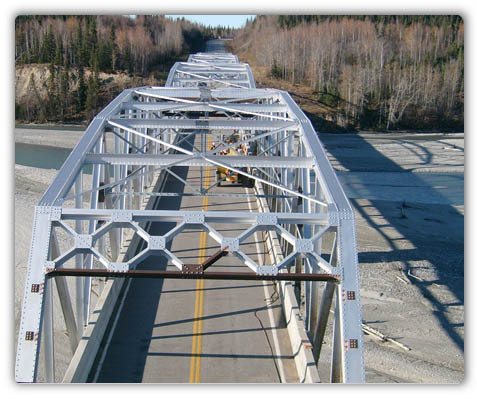 Flame On specializes primarily in heat straightening, but can also be of assistance with structural steel repairs, epoxy injection, overhead concrete patching, painting, and lead based paint removal. In addition to these services, Flame On can also help design repair procedures, as we have experience with many different methods of repair. In limited situations, when having our crew on-site is not a viable option, Flame On can act as a consultant for heat straightening. Flame On, Inc. is an experienced heat straightening company that offers professional service, quality repairs, competitive pricing, and, most importantly, dependability. Flame On is confident that we can help you with all of your heat straightening needs. © 2012 Flame On, Inc.